I love my car! 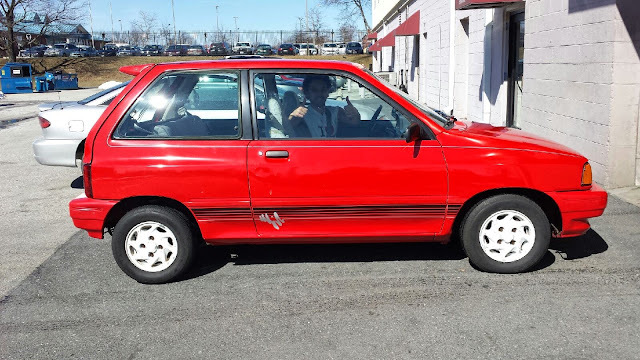 My ex-husband and I bought this 1992 Ford Festiva used 19 years ago during the early Clinton years. And it has been as enduring as the Clinton legacy! I don't pay much attention to gas prices because this car has the carbon footprint of a flea. But I could tell they were rising when other customers at the gas pump stopped making fun of my car and wanted to know if it was for sale. I pamper my Festiva since it only has 59,000 miles on it. I hope to drive it for a few more years though i take a deep breath every time the mechanic calls after I have dropped it off for an oil change. It is harder and harder to get replacement parts but my mechanic is as resourceful as my car has been reliable. Every 6 months i take it in to Cliff Dewey, the auto detailing guru, for a wax job. 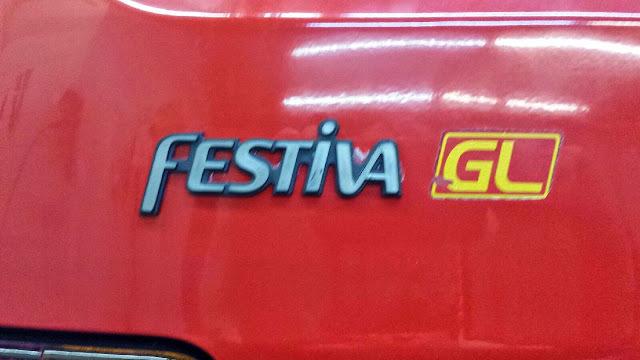 He owned a Festiva in high school that his wife did not want to be seen in. He enjoys nostalgically sending her photos when i bring it in. 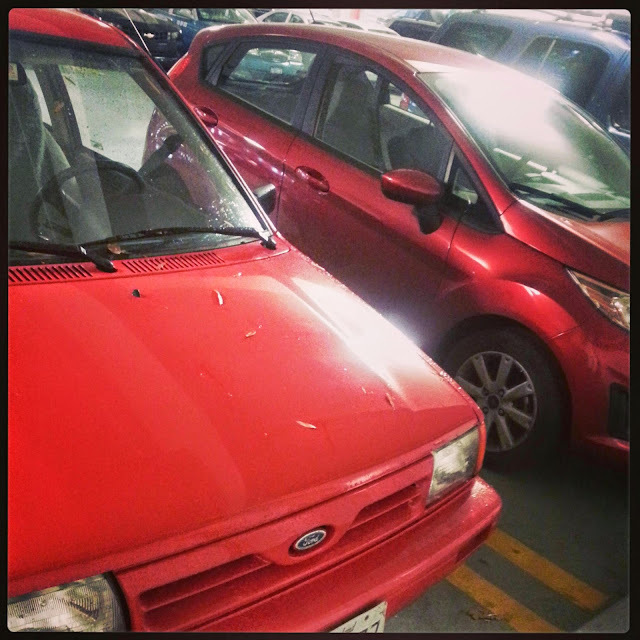 When the time comes to retire my car i hope to be able to get a new red fiesta. I enjoy parking next to one when i go to the gym. The juxtaposition of the two Ford vehicle eras is shown below.